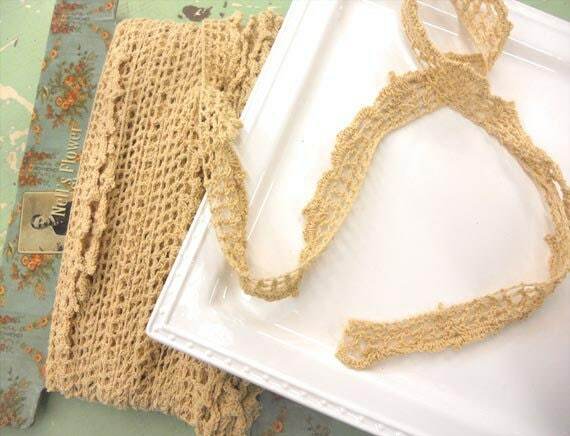 This vintage-inspired crochet trim is the perfect addition to any crafters stash. Trim was inspired by Nell's Flower Shop by Blackbird Designs for moda fabrics. 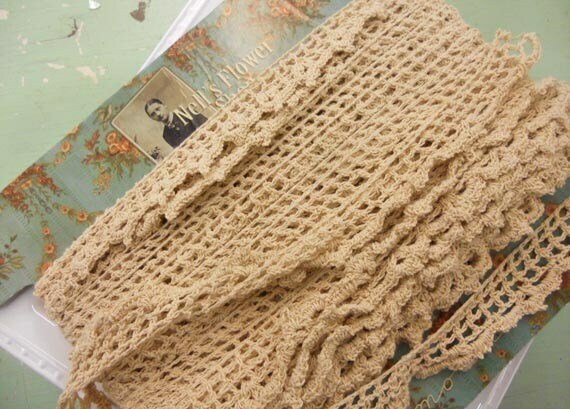 this listing is for 1 yard of crochet scallop trim in desired color. Final color may vary depending upon computer screen settings. 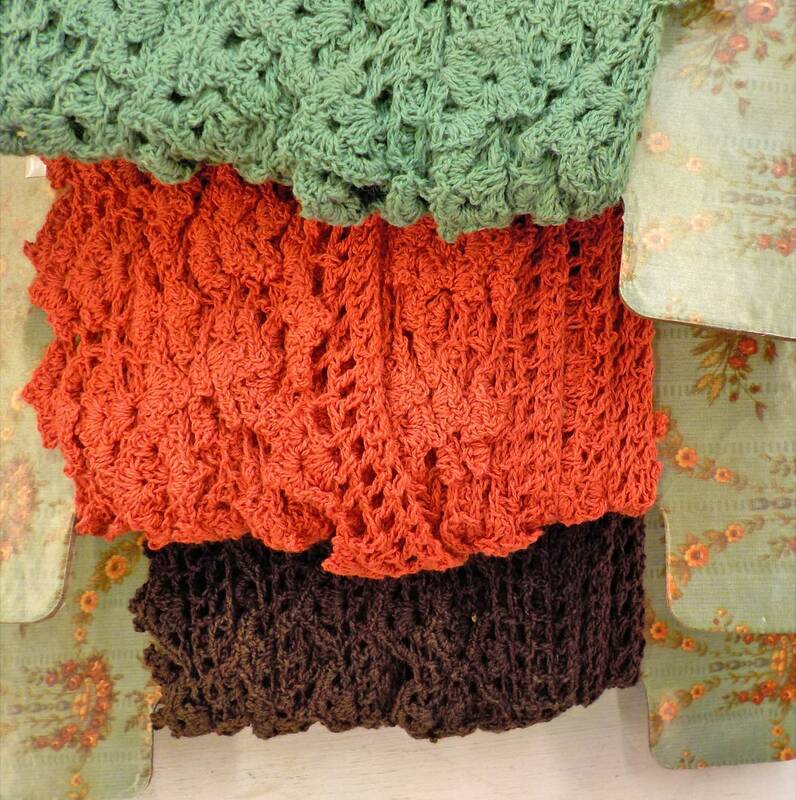 Beautiful crocheted edging. perfect for craft projects. shipped immediately. One of my favorite shops. Loved this item so much I went back to order some more. Perfect aged look that will work on many cross stitch smalls.